From whirling tornadoes to freezing blizzards, weather is a constantly changing force that affects everything around us. Explore the history and elements that make up the environment around us in "DK Eyewitness Books: Weather." Superb color photographs of the sky in all kinds of weather conditions, together with specially built 3-D models, offer a unique and revealing view of weather, from calm summer days to the bitter storms of winter. Discover why deserts are dry, how clouds are born, what makes raindrops grow. Learn how to make your own forecast and how humans have learned to predict and use the weather to their advantage over the years. 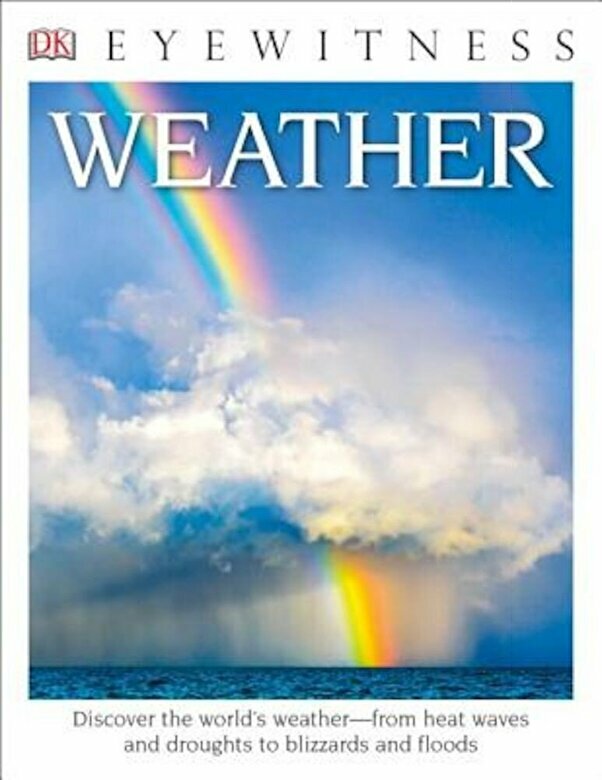 Available for the first time in paperback, "DK Eyewitness Books: Weather" will take the reader into the skies to learn more about the storms, winds, and elements that make up the weather around us.